Haunted Halloween: Upcoming Community Events and a special Spook-A-Thon Stream! Alpha Zero keys, so many Alpha Zero keys! How do you get them you wonder? You must please the Sandal King Steven! Every day leading up to the 31st, our undead team of developers invite you to unleash your creativity upon the world. 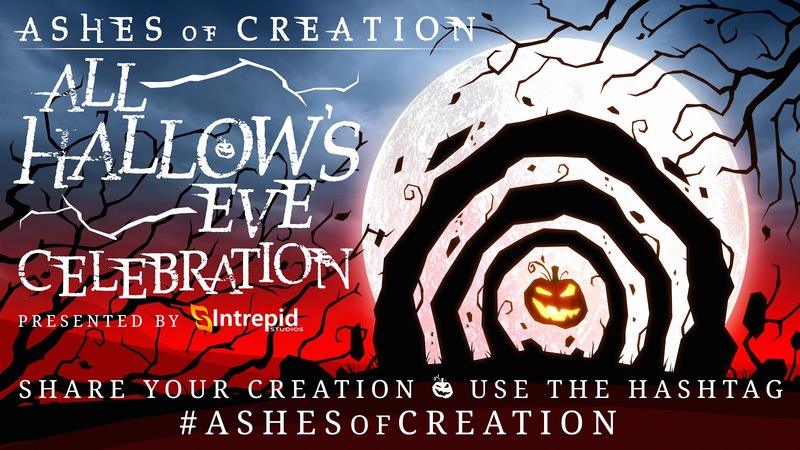 Our spookiest minions will be rewarded for their mischief with a chance to playtest Ashes of Creation this December exclusively with the Devs and their brood! To sweeten the cauldron, we’re additionally hosting a very special Spook-A-Thon Stream this Halloween, and invite you all to marvel over the chosen winners monstrous creations with us! It’s sure to be a scream. Who knows what ghastly sights will wander around our Studio on the 31st. Wizards and memes will surely fill the air with all kinds of horrors. But what is a party without some additional frightful guests? The Team at Intrepid Manor has extended an invitation to you this haunted hour; come one come all to the Spooky Scary Intrepid Costume Ball! Be sure to dress to impress, even down to the pets! Now then, now then, this is all well and good for later frights, but what on earth can we do tonight? On the first Haunted Hallow day, Intrepid gave to me: a Pumpkin Carving Contest, whoopy! Bring your creativity to life for a chance to be included in our upcoming testing phase and have your piece showcased live on Twitch! But what of our minions who prefer a paper canvas to a pumpkin? Weave your quill to summon the most horrific sights. Unleash your minds this Hallow month to show the world how Verra celebrates the night. All creativity is allowed on these unholy grounds, but the minions who personify our world the best will walk away with a crown. For the wordsmiths among us who moonlight as bards, there are untold legends of Verra that we entice you to impart. Local legends murmur of many horrific sights, we beg that you regale us with our Horror Short Story Nights!